The DMC-FZ18, FX33 and FX55 all feature a trio of new techniques that eliminate the need for even the simplest adjustment by the user. Intelligent Auto Mode selects the setting most appropriate for the light conditions, Intelligent Scene Selector works out, for example, if macro mode needs to be engaged, while a new auto-focus mode starts the camera focusing on whatever it’s pointing at without user intervention. On top of that, there’s a face-detecting function that can recognise and follow human faces amid background noise and Panasonic’s usual well-regarded image stabilization engine. As for the hardware, the FZ18 is most noteworthy thanks to its 18x optical zoom lens - the equivalent of 28 to 504mm in a film camera. 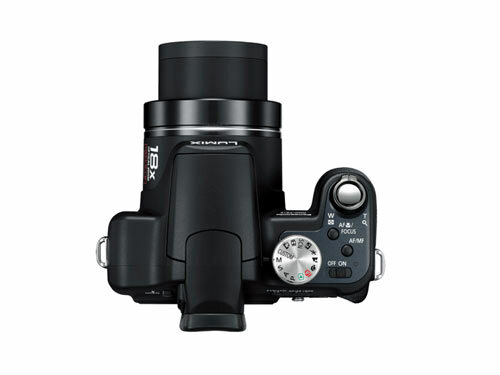 Until now, consumer digital cameras - including those from Panasonic - topped out at 12x zoom. Moreover, the company claims that this can be extended to 28.7x zoom by using Extra Optical Zoom mode, which creates a 3-megapixel image using just a portion of the CCD sensor. Otherwise, the FX55 and FX33 are standard ‘fashion’ cameras that are just 22.8mm and 22mm thick respectively. They differ mainly in that the FX55 has a larger rear LCD at 3in, compared to the 2.5in screen on the FX33. Pricing has yet to be decided and all three cameras go on sale in Japan next month.